It was the cover the New York Daily News that condensed President Ford’s denial of federal aid to New York City in the classic headline: FORD TO CITY: DROP DEAD. 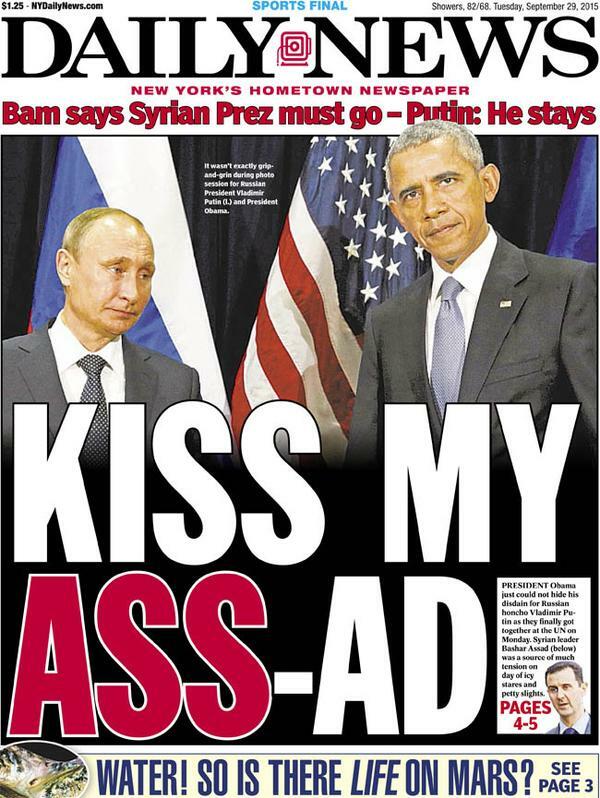 Somewhat more fairly, but equally concisely, today’s Daily News cover condenses the action at the United Nations yesterday between Presidents Obama and Putin. It’s a sort of PUTIN TO OBAMA moment. Cameron Joseph’s cover story is here. Like everyone else in world politics — everyone outside the White House, that is — Putin has Obama’s number.